Bootstrap Business: Are Cryptocurrencies The Future Of Hedge Funds? Are Cryptocurrencies The Future Of Hedge Funds? Blockchain assets represent decentralized digital currencies. When these currencies first appeared, there were viewed as a mere investment fad that appealed to gamblers and beginner investors. However, almost a decade later, the popularity of cryptocurrencies continues to be on an ascending trend, and many financial experts believe that they represent the future of the financial world. But can cryptocurrencies truly replace fiat money? Many hedge funds have been investing in cryptocurrencies for a few years now. At the beginning of this year, things looked pretty good for crypto hedge funds, but the first semester of the year brought plunging returns for blockchain investments, as Bitcoin lost almost two thirds of its value. So, given the volatile economic times and the still unstable nature of cryptocurrencies, can hedge fund investors still bet on cryptocurrencies? A blockchain hedge fund can have several investment strategies. Most hedge fund managers focus on trading the most profitable cryptocurrencies, with Bitcoin still dominating the market despite its recent plunge. This is the safest investment strategy, as it is a sure way to avoid market fluctuations. There are also many funds that either invest or acquire blockchain companies. Some funds even go as far as automating their investment strategy with blockchain tech. The technology is used in front office procedures, but also in general investment tasks for securing blockchain assets. The popularity rise of crypto hedge funds is generated by the historic return of investments in cryptocurrencies, but also by the demands of the clients. ICO has been the easiest way to invest in hedge funds so far, being an excellent alternative for startups. Theoretically, tokens sold as in initial coin offerings should connect with the business that invests in them. Nonetheless, more and more existing businesses are starting to use tokens to attract funds for tangible projects like new factories or new products. However, the biggest cut of the ICO investments, over 40%, continue to be used for financing bold software projects, and this will continue to be an ascending trend in the following decade, and crowdsale investments might soon become a thing of the past. The problem with ICO crowdsales is that they can be misleading for inexperienced investors. ICO funds must have a very good credibility and the managing team should have a long history of working together in order for these investments to have low risks. Hedge funds on the other hand offer a more secure investment option. First of all, the hedge fund structure has a fixed fee and profit fee. This may not be ideal for investors looking to get rich fast, but those fees are used to finance the professionals that research and manage balanced portfolios of cryptocurrencies, as well as their complex risk management tools. With hedge funds investors can get advice on where and when to invest. Cryptocurrencies have always been volatile, but never have they seen such low returns like they did in the first 4 months of 2018. In fact, their performance dropped by more than 35%. This led to the closing of over a dozen cryptocurrency hedge funds within the first 4 months of 2018. Some funds like Crowd Crypto Fund closed altogether, shutting down all their digital platforms. Other funds were less drastic, and they put together a strategy for refunding all of their investors. The recent blockchain plunger didn’t just affect small hedge funds, but even bigger funds with a long history and a great reputation. This is leading many investors to lose their interest in cryptocurrencies, especially since the plunge continues on an average of 20%. 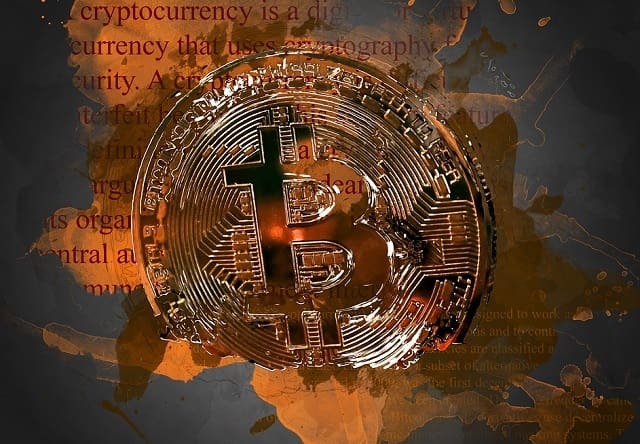 Out of all the dozens of cryptocurrencies found on the market in the present, only two managed to maintain their value on an ascending trend, but even they failed to bring sufficient returns to rekindle the interest of the investors. Things seemed to get better in April, when cryptocurrencies experienced a shocking growth of 45%, but by the end of May, they were already down by 17%. Bitcoin was the most affected by the volatile economy, experiencing an astounding drop of 30%. The main reason for the volatile nature of cryptocurrencies continues to be the lack of a regulatory system. Nonetheless, while these extreme price fluctuations are discouraging many investors and hedge fund managers from investing in cryptocurrencies, there are still many who continue to see the potential of digital currencies. As long as the number of investors who invest in digital currencies continues to grow, crypto hedge funds will continue to make a profit in the long run. The short-term price volatility is but a mere risk factor, which can be controlled through a versatile investment portfolio and a well-structured risk management system. As we already mentioned the knowledge and the skills of the financial experts managing the hedge funds are priceless in the risk management system. However, could those skills be translated in an algorithm managed by artificial intelligence. Well, many funds are already experimenting with this idea. Numerai, one of San Francisco’s most reputable hedge funds is already using a machine learning model for their investment strategies. The algorithm behind the program was developed by some of the best data scientists in the world, all of which are paid in Bitcoin. Other hedge funds are using similar models either to invest directly in cryptocurrencies or to invest in companies founded on blockchain technology. As more and more industries are starting to see the potential of blockchain tech, digital assets may be on their way to a more stable financial future. Sure, we are still far away from dealing with the paradox of needing regulations for assets whose main advantage is that they are not regulated by anyone. However, the fact that digital currencies have managed to survive for so many years despite their volatile nature is a strong indicator that they are here to stay, and they may indeed one day replace fiat currencies. I hope you enjoyed this article about blockchain cryptocurrencies like Bitcoin being the potential future of hedge funds. Interested in more articles about frugal investing advice?